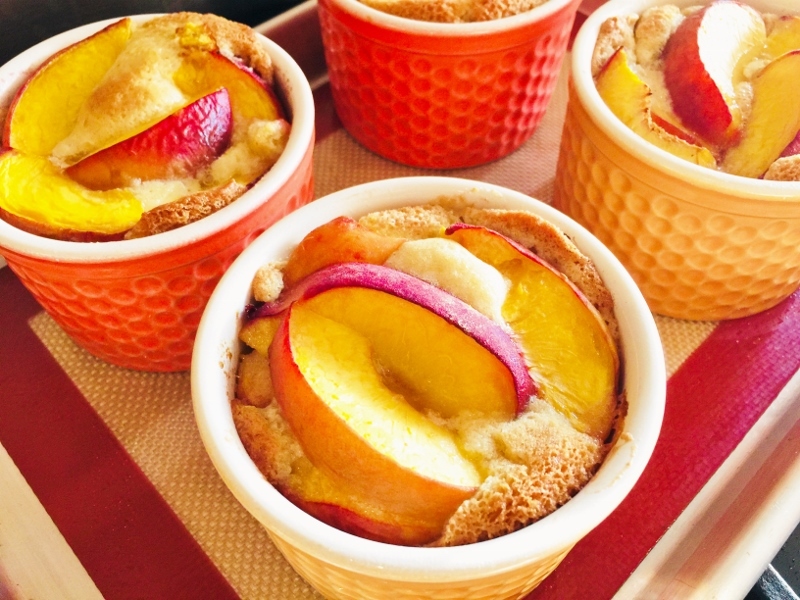 Petite Peach Cobblers - Recipe! - Live. Love. Laugh. Food. 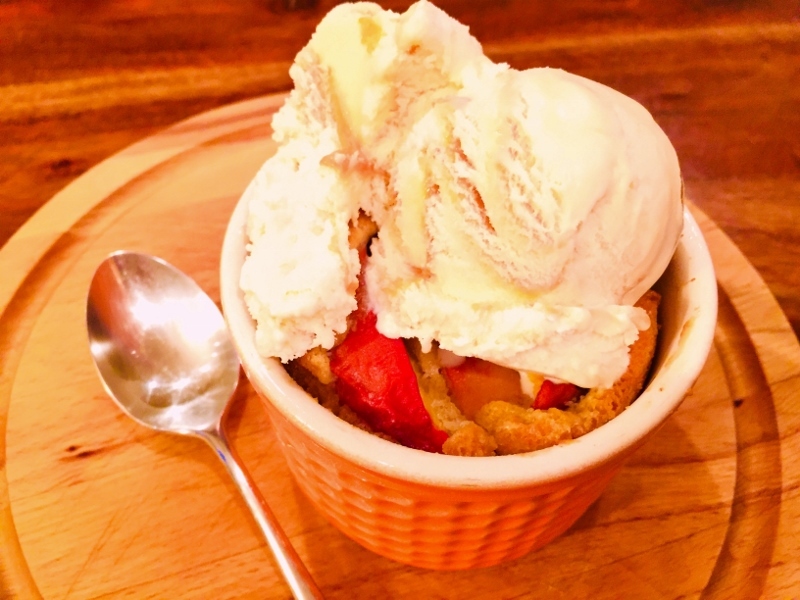 Petite Peach Cobblers – Recipe! Peach desserts are a whole other treat in themselves. Crisps, buckles and cobblers are always first to come to mind when you have such awesome fruit. Peach Cobbler is just one of those classic summertime treats that you must partake in at least once during the season. I enjoy the bright yellow fruit poking up through a delicate crumb cake with just the right exposure to lift with a spoon. The sensation of the first bite makes you immediately go looking for more. 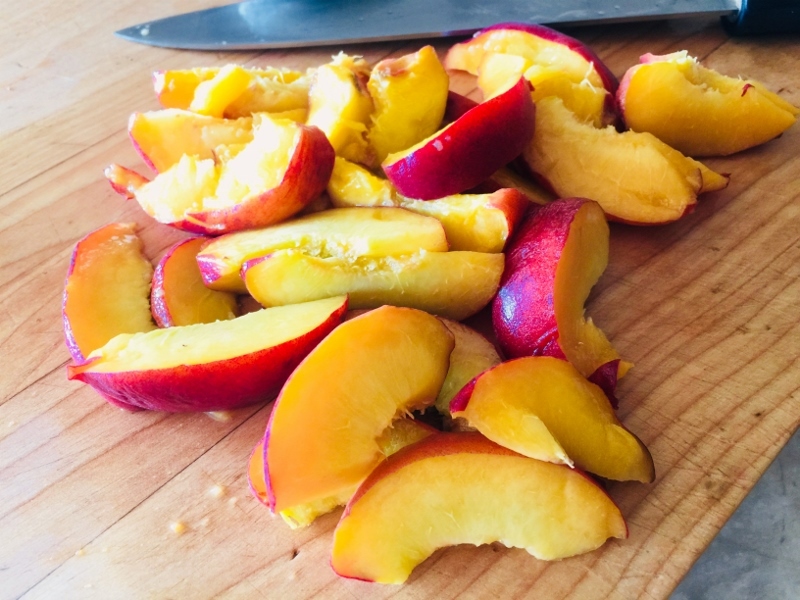 Preparing a cobbler is a pretty simple task and in this recipe, I decided to go with an individualized portion, so each can enjoy a personal cobbler all on your own. 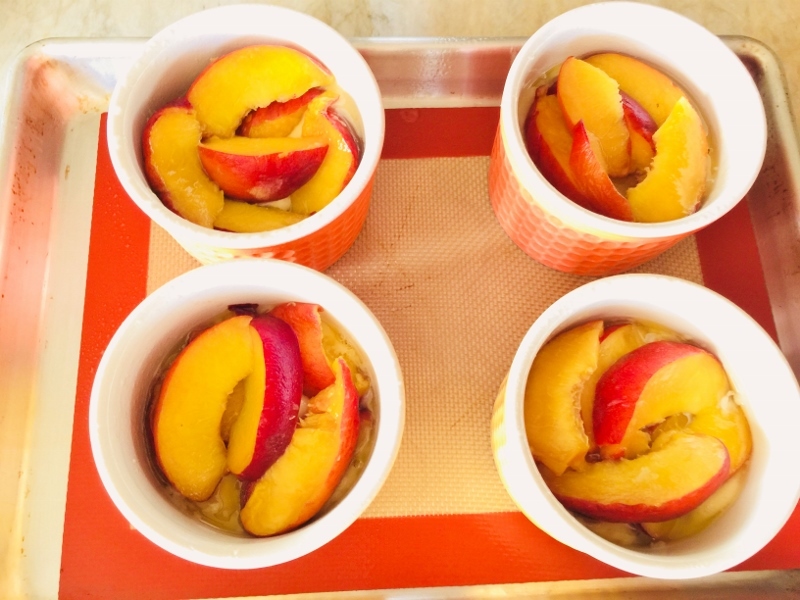 The batter and butter are added separately to the ramekins and then, topped with freshly sliced peaches. This means baking time is cut down by half, and faster to enjoyment. I love these Petite Peach Cobblers with a scoop of vanilla or salted caramel ice cream on top, but let’s face it, they are pretty darn good just the way they are, right out of the oven. 1. Preheat oven to 350 degrees. Butter four 6-ounce ramekins or baking dishes. Wash and slice peaches. 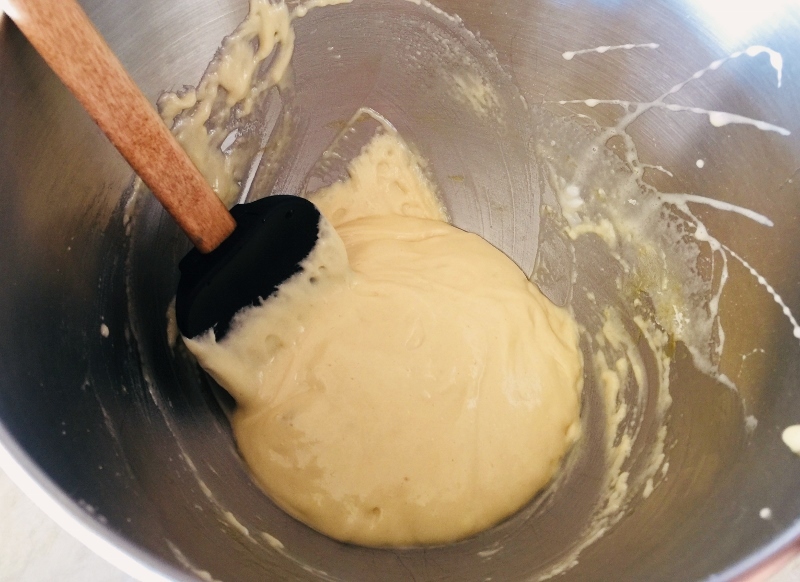 In a stand mixer, add egg and sugar, mix on high speed for 3 minutes. Add vanilla and mix again for 1 minute. Add flour, baking powder and salt and mix on low for 1 minute. Add yogurt and mix for 30 seconds. 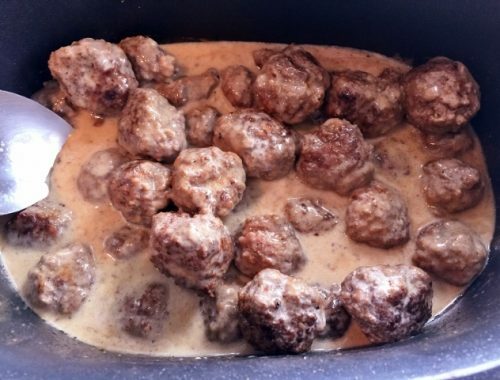 Remove bowl and mix batter by hand to incorporate any additional bits. 2. 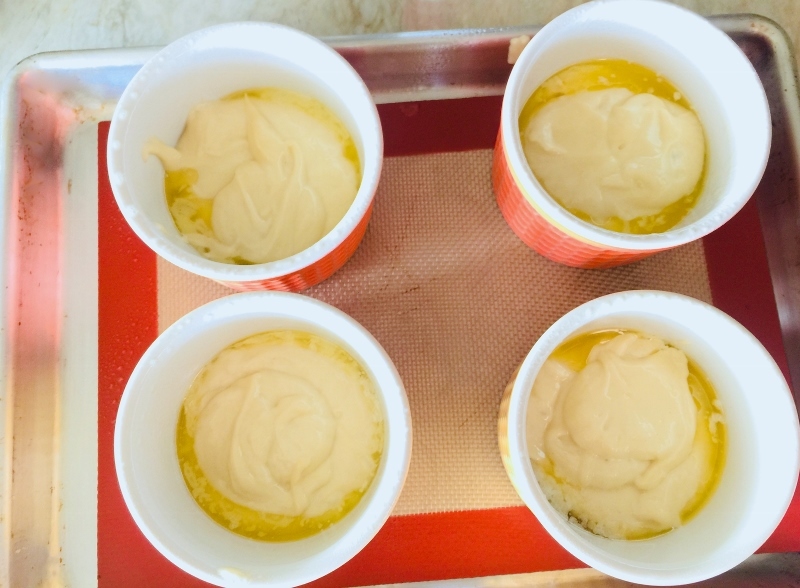 Place ramekins on a sheet pan and add 1 tablespoon melted butter in each ramekin. Spoon a quarter of batter on top of butter, repeat in each ramekin. Place 4-5 slices of fresh peaches on top of batter. Bake in the oven for 22-25 minutes, or until firm on top. Remove and let cool at least 15 minutes before eating. Enjoy! BakingBaking with Gena BellEasy Summer DessertsHow to Make Peach CobblerPeach Cobbler RecipePeach DessertsPetite Peach Cobblers - Recipe! 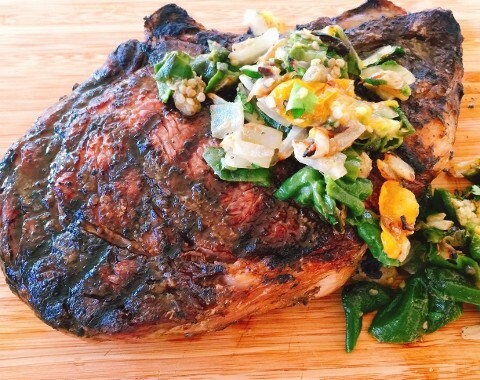 Grilled Double-Thick Ribeye with Padron Pepper Relish – Recipe! 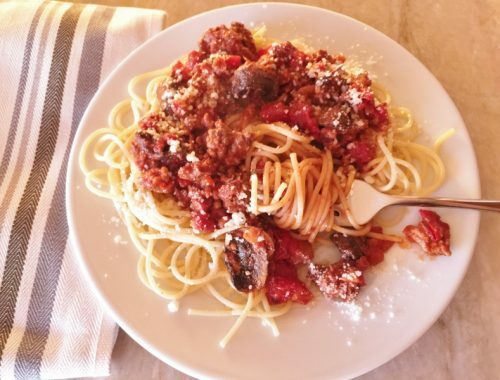 Mushroom Meat Sauce – Recipe!